North Central Arkansas' Original Nanobrewery! Gravity BrewWorks is an independently-owned nanobrewery offering small batches of hand-crafted beer. 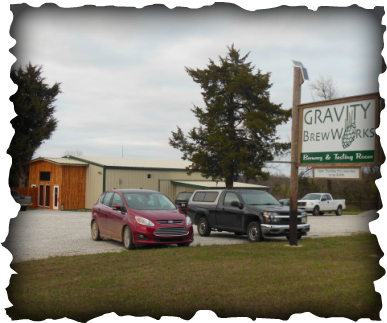 Locally owned and operated, Gravity BrewWorks opened for business on November 1, 2013. We're normally open Thursdays thru Saturdays, noon to 8 pm. There is a food truck on site most days we're open - call ahead and check on availability. Due to repairs, the food truck will NOT be onsite at the brewery until further notice. During winter months, it's a good idea to call before you visit. "It will be so nice to have a brewery in our neighborhood!"